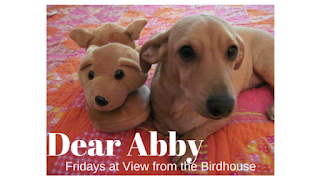 Abby and I are planning to take a blog break until the New Year. We'll be back with book reviews and giveaways, retro posts and nostalgia, and - of course - Dear Abby on Fridays! 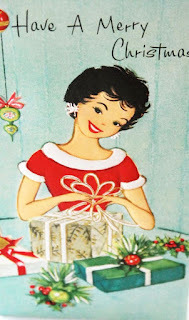 Thank you so much for reading and interacting here. 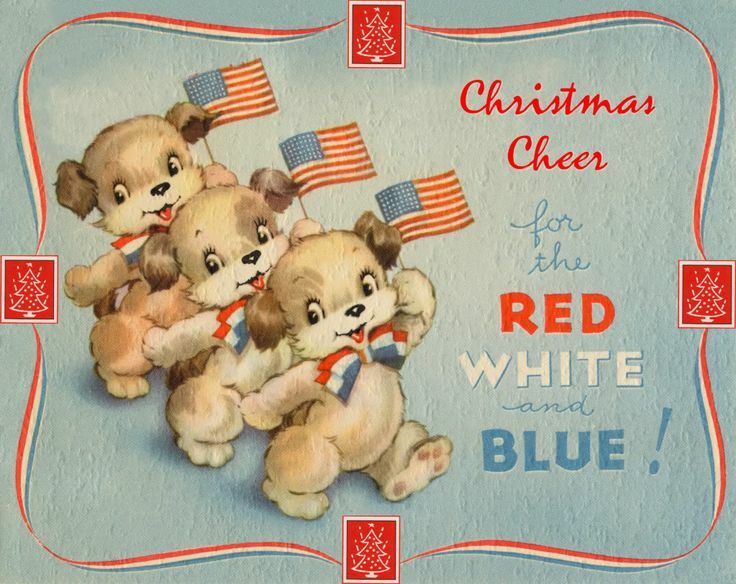 Wishing you and yours a Merry Christmas and a wonderful holiday season! 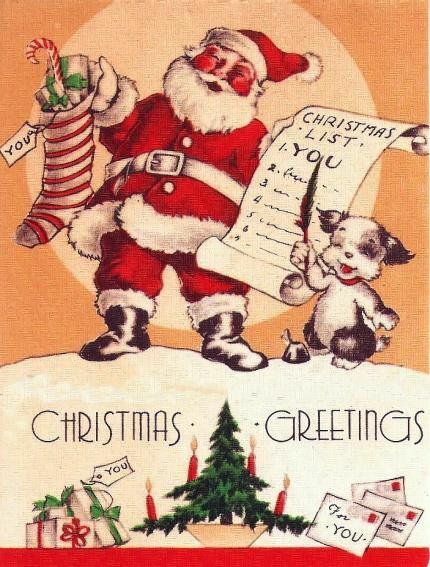 Merry Christmas and a happy holiday season to you! 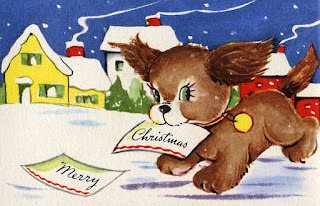 Momma and I are planning to take a blogging break for a couple of weeks, but I wanted to share a few vintage dog photos (all with a festive Christmas theme). 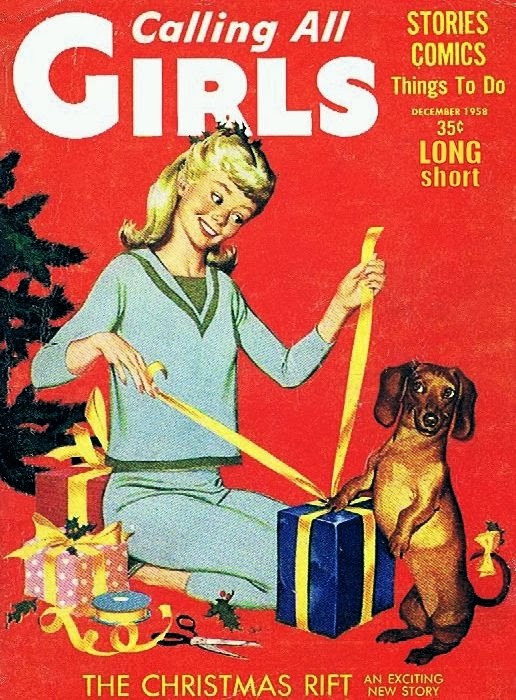 This Calling All Girls magazine cover from 1958 features a very helpful dachshund wrapping gifts with her person. 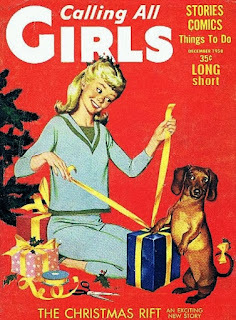 I love this very looooooooong dachshund on a cute vintage Christmas card. This cute little terrier dog is helping Santa Claus make a Christmas list. 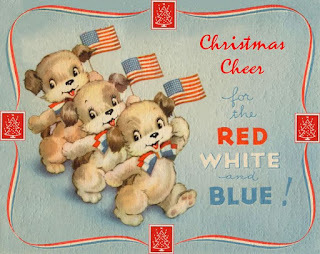 This 1940's vintage Christmas card is red, white, and blue -- and three little terriers wave American flags. A cute little dog delivers Christmas cards in this illustration. 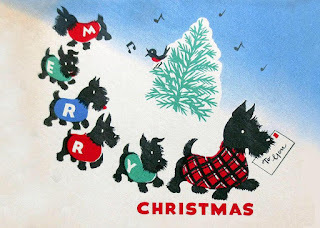 Scotties on parade! What is not to love about this? Scotties were big in 1940's illustrations, so this is probably a 1940's era Christmas card. I hope your holidays are happy and bright! 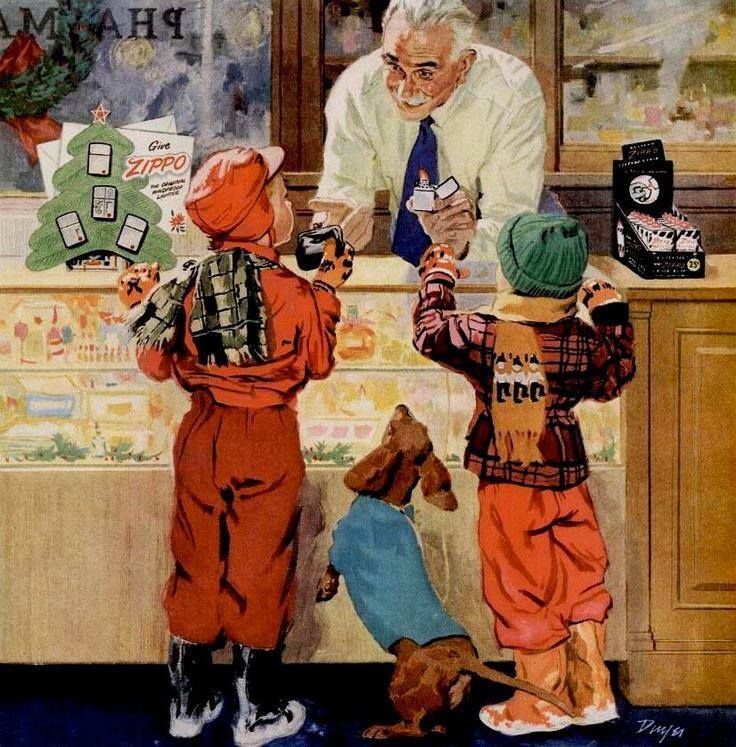 I've enjoyed visiting with you this year, and look forward to catching up again in 2017!